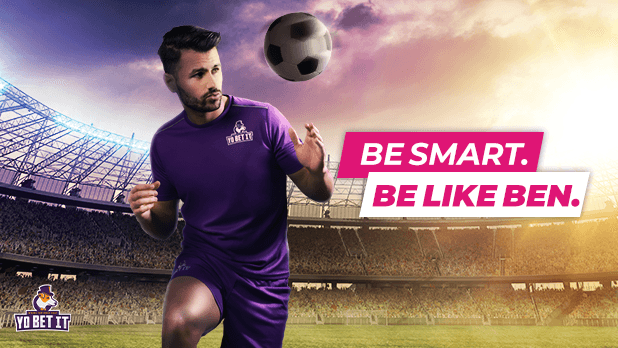 Maltese iGaming company Yobetit signed Maltese celebrity Ben Camille and kickstarted their new international campaign #BeLikeBen. You may have seen it pop up over the past month, and if you haven’t or want to learn more, we’re here to fill you in. The Be Like Ben campaign highlights the many benefits of playing on Yobetit.com, from usability to responsible gambling. The award-winning company paired with Ben to create the perfect Maltese duo. Both Yobetit and Ben strive for excellence through hard work and determination, and therein the idea for the campaign was born: ‘Be smart. Be like Ben’. The benefits of using Yobetit are made clear and to-the-point over a number of graphics and videos featuring Ben. The campaign focuses on not settling for anything less than what you want or deserve in your betting experience. Just like Ben doesn’t settle for less, the campaign encourages everyone to be smart and make the choices that best suit them. Ben’s decisions are a result of wanting the best, and his choice is to play on Yobetit.com. Yobetit offers a website which is easy to navigate and use from any place at any time. Whether you’re new to betting or have used a betting site before, the design and fast speeds make the experience seamless and a perfect fit for anyone. The betting website features a huge variety of betting markets including sports, politics, TV series such as Game of Thrones, jackpots, casino games, and more. All the while, Yobetit encourages responsible gambling. In order to have the best experience Yobetit offers a number of methods to ensure their players have the best and safest experience. Visit Yobetit.com to find all the latest casino games, markets, odds and more.